Undertaking the design and construction of a ten-seat, twin-engined flying-boat was a daring venture, whether for so small a firm as the newly organized Loughead Aircraft Manufacturing Company or for such an inexperienced designer as Allan Loughead then was. Nevertheless, after a two-year gestation the F-l (Flying-boat One) was first flown on 28 March, 1918, and soon made the then longest overwater flight when it was delivered to North Island, San Diego, for evaluation by the U S Navy. It then had a brief career after being modified to landplane configuration and then re-converted to a flying-boat. Preliminary design work was undertaken in early 1916 by Allan Loughead, with some assistance from his brother Malcolm. In mid-summer of that year the Loughead brothers got additional design help when they hired a 21-year-old mechanic and architectural draughtsman, John K. Northrop. A self-taught engineer, Northrop began working on the wooden hull of the new flying-boat and soon demonstrated his creative talent. Accordingly, he took over responsibility for the design and stress analysis of the fabric-covered unequal span wings. The lower wing was attached to the fuselage nacelle, which had open accommodation for two pilots side by side and eight to ten passengers, and was linked to the high-mounted upper wing by steel interplane struts. Between the wings were attached the two 160 hp Hall-Scott liquid-cooled engines driving two-blade tractor propellers. The tail surfaces were carried by twin uncovered booms, with directional control being provided by two fins and three rudders, the central unit being all movable. There were side curtains between the fore and aft kingposts above the upper wing. The stabilizing wingtip floats were attached directly to the wing. Construction of the F-1 - under the direction of Anthony 'Tony' Stadlman, a friend of Allan Loughead since their barnstorming days in Illinois - proceeded very slowly at first as the company was undercapitalized and understaffed. However, the United States' entry into the war in 1917 lent a new impetus to the project as the Loughead brothers were keen on selling their aircraft to the US Navy. Nevertheless, eleven more months elapsed until the F-1 was first launched on Santa Barbara Bay and Allan Loughead took it for its first flight on 28 March, 1918. Flight characteristics were found generally satisfactory, the only modification required being a reduction in the area of the ailerons which extended beyond the upper wingtips. Nevertheless, the rudders were heightened and provided with horn balances. 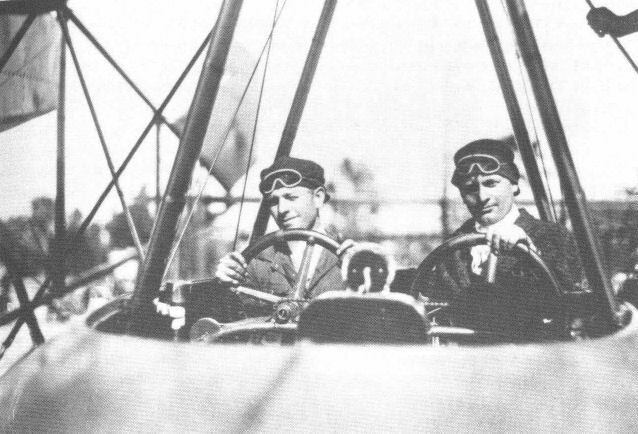 Shortly after the F-1, carrying Allan and Malcolm Loughead, Carl Christofferson, and a newspaper man, was flown nonstop to San Diego covering the 211 miles (340 km) between Santa Barbara and North Island in 3 hr 1 min. The US Navy evaluation of the aircraft was generally favourable but by then that Service had already ordered large quantities of Curtiss HS-2Ls which, each powered by a single 330 hp Liberty engine, were lighter and slightly faster than the Loughead F-1. Consequently, the Navy did not buy the F-1 but, as a consolation prize, awarded Loughead Aircraft Manufacturing Company a contract for the construction of two HS-2Ls and another, cancelled at the end of the war, for the production of fifty single-seat naval scouts. After the F-1 had been returned by the Navy in August 1918 the Loughead brothers decided to modify it to attract attention to their fledgling company. The original fuselage and hull were replaced by a streamlined nacelle, and a tricycle undercarriage was installed to convert the aircraft into the long-range F-1A landplane. To reduce drag further, Jack Northrop devised streamlined wooden fairings for the steel interplane struts. In this form the aircraft was readied in late November 1918 to attempt a U S transcontinental flight. 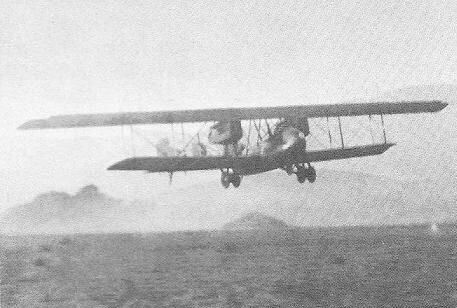 As at that time of the year the weather was not favourable over the most direct route, the crew - pilots O. S. T. 'Swede' Meyerhoffer and A. R. 'Bob' Ferneau, and mechanic L . G. Flint - chose a more southern route skirting the Mexican border. On the first leg of the transcontinental trip they nevertheless ran into bad weather and strong headwinds and, after covering 415 miles (688 km) in 6 hr 10 min, the aircraft was forced down at Tacna, Arizona, with a broken valve spring. After a fast repair the F-1A continued to Gila Bend, Arizona, where it was refuelled. On take-off from Gila Bend, a propeller hit a mesquite bush and, after reaching an altitude of 50 ft (15 m), the F-1A came down on its nose. There was no alternative but to abandon the transcontinental attempt and ship the aircraft back to Santa Barbara for repairs. In Santa Barbara the aircraft was rebuilt as a flying-boat to be used during the 1919 summer tourist season to offer joy rides at $5 per passenger. The F-1 proved so reliable in this job that in October 1919 the U S State Department chartered it for King Albert and Queen Elisabeth of Belgium. The royal couple and their entourage were flown by the Loughead brothers from Santa Barbara to Santa Cruz Island, off the coast of southern California, and their services earned for Allan and Malcolm the award of the Belgian Order of the Golden Crown. After this, the F-1 was again operated on commercial charters, specially for use in films for which the Loughead brothers charged $150 per flying hour and $50 an hour for standby time. The F-1 was also hired by a couple who wished to become the first to have their marriage ceremony performed aloft. After earning a sizeable sum for the Loughead Aircraft Manufacturing Company, the F-1 was finally sold in 1920 to provide cash to cover the cost of the S-1 sports biplane. Its new owners planned to use it for an air service to their resort and amusement centre on Catalina Island. 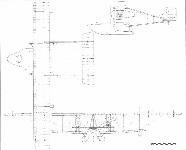 This plan, however, never materialized and the F-1 finally succumbed to vandalism on the beach at Santa Barbara. 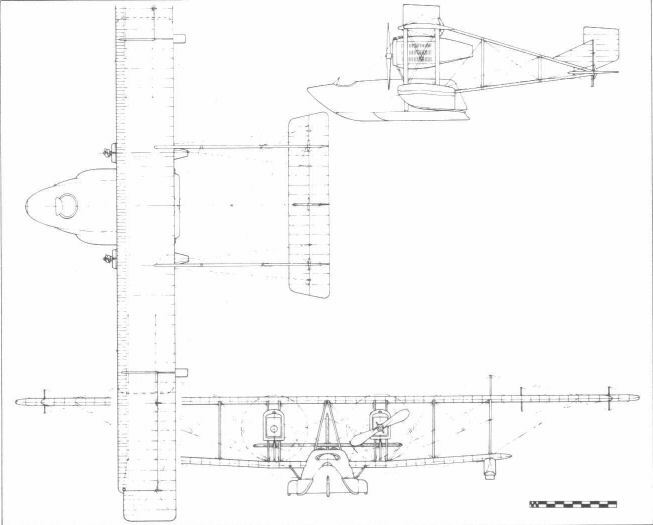 Specifications for the F-1 flying-boat version. Span 74 ft (22,56 m) upper, 47 ft (14,33 m) lower; length 35 ft (10,67 m): height 12 ft (3,66 m). Empty weight 4,200 lb (1,905 kg); loaded weight 7,300 lb (3,311 kg); power loading 22,8 lb/hp (10,3 kg/hp). Maximum speed 84 mph (135 km/h); cruising speed 70 mph (113 km/h); range 510 miles (820 km). The Model F-1 which was completed at Santa Barbara in March 1918. The Loughead F-1 in its original form. Destined to remain in prototype form, the F-1 flying-boat was an excellent but ambitious design for a fledgling company. The F-1 flying-boat with increased rudder area. 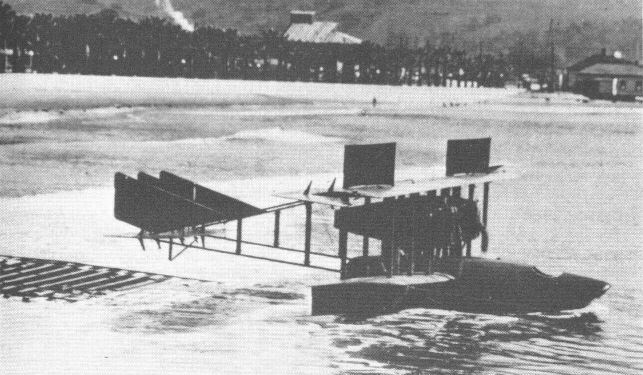 Loughead Model F.I Seaplane (two 160 h.p. Hall-Scott engines). The Loughead F.I.A. Machine. This is Seaplane F.I. fitted with a land chassis. The machine is taking off from California on a cross-country flight to Washington D.C., which ended in a crash in Arizona due to engine failure. In its landplane version the Loughead twin-engined aircraft had a short life. The Loughead brothers in the cockpit of their F-1 flying-boat; Malcolm is in the starboard seat and Allan in the port.